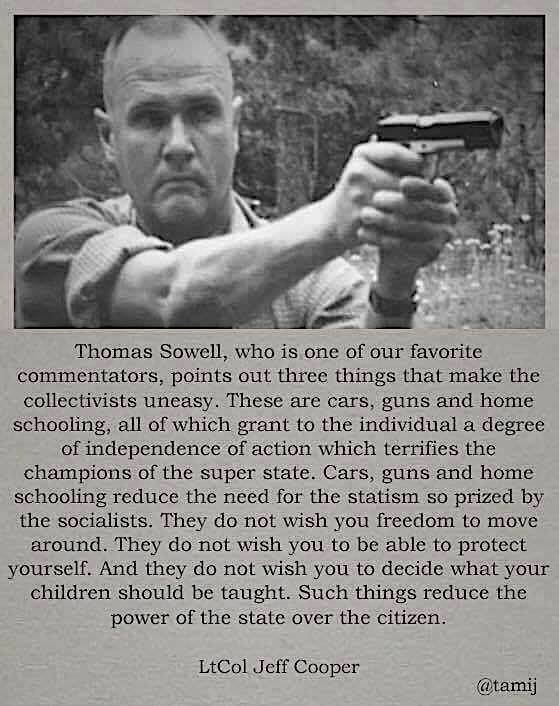 so does the credit for the quote go to thomas sowell or jeff cooper? Cooper, in his first sentence, was merely referring to what Sowell had put forth. Good catch, ubeteda. What’s a gal gotta do to avoid confusion? Geez. Guess that’s bad for ‘citizens’.